The Rockets vs Celtics matchup tempered all expectations of being a thriller. 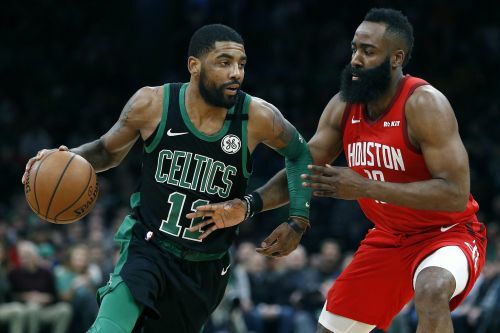 The Boston Celtics were coming off an impressive victory over the Wizards when the surging Houston Rockets came knocking on the doors of TD Garden. The visitors departed with a convincing 115-104 win and left a sour taste behind in the mouths of all those present. James Harden and his Rockets side handed Boston their fifth loss in the last six games and improved to 38-25 (0.603) on the season. In the battle of the East's 5th and the West's 5th, Houston clearly had an upper hand for the most part of the ball game as they continued on their way up the ladder. The Celtics slide to 38-26 (0.594) on the season, but remain at the 5th spot on the Eastern Conference leaderboard. They have now dropped seven of their last ten games, falling behind by 10.5 games to the East leaders in Milwaukee. On the other hand, the Rockets have now won seven of their last ten, currently six games behind the Warriors out West. On that note, let's draw out some prominent talking points from this encounter down in Boston. Eric Gordon is averaging more than 16 ppg this season so far. 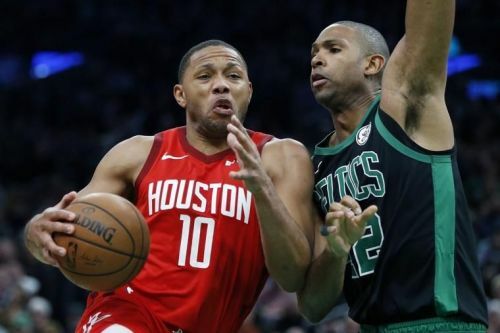 Eric Gordon's efficiency against the Celtics leveled up when he shot 11-of-18 from the floor, along with hitting eight 3-pointers on a dazzling 67% conversion rate from distance. After a 0-5 showing from deep in his previous game against the Hornets, the Rockets shooting guard did enough in this one to justify his spot on the roster. En route to a legit MVP bid, the Beard put up 42 points against Boston, making this his 24th game this season with a 40+ point total. He made six 3-pointers, effected a couple of steals and shot 14-of-31 from the field. "We're finally healthy, so yeah. It feels good," Harden said. "We winning, guys know their roles, we're executing defensively, we're helping each other out, we're talking. That's all it's about." Both Harden and Gordon combined for 43 points in the first half itself, matching the Celtics' first half total by themselves.